Q: Do you sell and install the equipment? Q: Do you need to be a licensed contractor to install a stairlift or other equipment? Q: My stairs seem narrow, are my stairs wide enough for a stairlift? Q: Will the stairlift block the stairs for other people that are using the stairs? Q: My stairs have a landing in the middle or is a curved staircase, will a stairlift work on my stairs? Q: Is a stairlift safe? Q: What happens if the power goes out? Q: How much does a stairlift cost? Q: Does Medicare cover any of the costs for buying a stairlift? Q: Who should I buy from? Q: Will my insurance pay for a scooter or power wheelchair? Q: What equipment do you rent? Q: What is Pacific Mobility Center? Q: What Products do you Service and Repair? Q: Which would be better for my situation- ramping or a residential vertical platform lift? Q: How often should I charge the batteries in my scooter or power wheelchair? Do you sell and install the equipment? Unlike many of our competitors, we sell, service and install what we sell. All work is performed by our company. Do you need to be a licensed contractor to install a stairlift or other equipment? Yes- Calif. State law is very clear on this matter. Anyone performing labor and materials for $500 or more must be a licensed contractor. Anyone that tells you otherwise most likely is doing work illegally and does not have liablity insurance or worker’s compensation insurance for their employees. My stairs seem narrow, are my stairs wide enough for a stairlift? Our stairlifts are designed to be very compact and can be installed on stairs that are as narrow as 29”. Call us for additional details so we can discuss your specific needs. Will the stairlift block the stairs for other people that are using the stairs? No. The stairlift folds up out of the way when not in use and takes up as little as 12” from the wall. We also have a folding rail option for the bottom of the stair also. Park stations are available for our custom unit allowing for additional safety and room in walkways. My stairs have a landing in the middle or is a curved staircase, will a stairlift work on my stairs? Yes. We design custom stairlifts that will make turns and wrap around corners. As a matter of fact, Bruno makes the best and most reliable custom stairlift in the market today. Yes, our stairlifts are very safe. Bruno Stairlifts have an impeccable record when it comes to safety. Our stairlifts have safety sensors on all edges and limit switches that monitor speed, obstacles, and whether or not the chair is in a safe riding position. Our stairlifts are battery powered with constant trickle chargers that plug into your existing household outlet so that even in the event of a power failure, your stairlift keeps working. Stairlifts can range in price depending on whether it is for a straight set of stairs or whether it is being custom designed for a curved staircase. There are also options and features that can be added for comfort and style that will affect the price. Please call us and we would be happy to come out and assess your stairs and give you a free written quote on what your stairlift will cost. Don’t be fooled by internet discounters who quote a low price. With PMC we will give you a guaranteed best price for a Bruno Stairlift. Does Medicare cover any of the costs for buying a stairlift? Medicare does not presently cover stairlift products. Unfortunately, they do not consider stairlifts a “medical necessity”. Until this changes, we try and do our very best in supplying our customers with the best alternatives solutions for getting your stairlift. We provide a 2 year warranty on all your parts and lifetime on motor & gearbox on the major components in all Bruno models. PMC takes care of your warranty needs, not another company or a “handyman”. Our technicians are factory trained and have many years of experience servicing what we sell. Many competitors tell you they offer a better warranty- don’t be fooled. Our technicians are very busy repairing stairlifts sold by other companies. The most common complaint we hear the customer tell us they “can’t get anybody to service their stairlift even though it is still under warranty”. Buying local from a qualified company has many benefits. We fit the bill for this. Come try the units in our showroom, buy from a Certified Dealer, Buy Bruno. Most importantly you will have someone you can rely upon for maintenance and service when the need arises. In addition, if you buy Bruno you are getting a product made right here in the USA. Not like others that are made out of the country and have problems with parts availability and technical assistance. Will my insurance pay for a scooter or power wheelchair? Our company no longer bills insurance. Consequently we recommend you contact your health care provider direct. What equipment do you rent? We rent stairlifts, manual wheelchairs, companion wheelchairs and walkers. For stairlift rental information, click here. What is Pacific Mobility Center? We are a family-owned company serving our community since 1986. 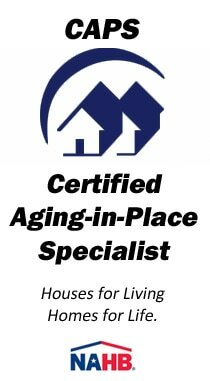 We specialize in mobility and home safety- related products. We pride ourselves in providing excellent customer service and follow up. Please ask for references at any time. What Products do you Service and Repair? We service what we sell. We believe that when you make an important purchase you deserve to have service after the sale. We have factory trained technicians that provide the additional level of service that keeps our customers coming back. Which would be better for my situation- ramping or a residential vertical platform lift? Contact us to discuss this matter further. Depending upon your situation, environment and layout we will help you decide on what the best solution will be. 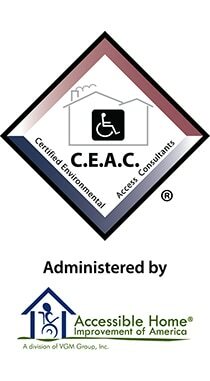 We have CEAC staff that are professional in helping you make the right decision. How often should I charge the batteries in my scooter or power wheelchair? The best place to find this answer is in your owner’s manual which has a wealth of troubleshooting information. If you do not have an owner’s manual we suggest at least once a week for those who use their scooter/power wheelchair occasionally and everday for those who use their equipment more often. We are open Mon-Fri from 9am to 5pm and Sat from 9am until noon. We have 24 hour voice mail messaging.